ICSOC 2010 will take place in San Francisco, CA, at the Hilton Financial District located in downtown. Not much needs to be said about the city. 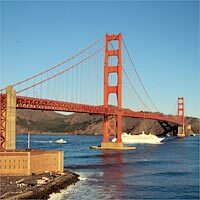 San Francisco is beautifully located at the Golden Gate, the connection between the Pacific Ocean and the San Francisco Bay. Being the business and cultural hub of the Bay Area it has a lively downtown area, diverse walkable neighborhoods, great museums, music and theater events, vast parks and a vibrant nightlife. Northern California is obsessed with food and wine; you will find great, even Michelin-starred restaurants aplenty. Holding ICSOC in San Francisco also enables participants to connect to the technology industry and universities of the Silicon Valley and the Bay Area as a whole. Local software industry leaders such as Oracle, HP, Google, Salesforce are headquartered here and many others such as IBM, SAP and Microsoft have a significant presence. While many social media companies are located in the region – think Facebook and LinkedIn – San Francisco has become a particular hub of Web 2.0 and social media startups. Its South of Market (SoMa) neighborhood is home to Twitter, Zynga and the Wikimedia Foundation and many more companies who you might hear of next year as the "next big thing". Stanford University, UC Berkeley, UCSF, and other academic institutions are within a short commute from the city. 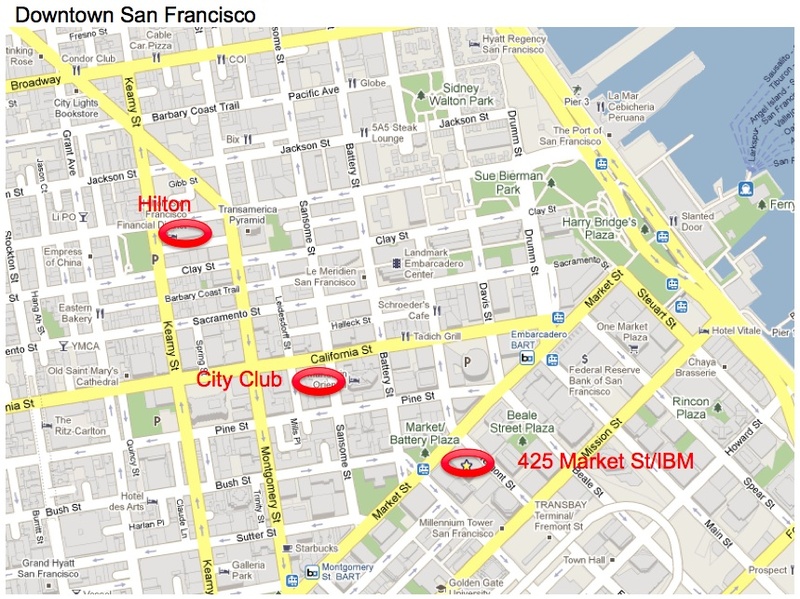 The Hilton Financial District is located at the intersection of Chinatown, North Beach and its namesake Financial District, within walking distance to Union Square, the Embarcadero, the Ferry Building, and SoMa. All our conference rooms will have windows and WiFi access. We will get a special deal for guest rooms. This information and a registration link will be posted shortly. San Francisco can be accessed via SFO, its international airport. Depending on traffic, SFO is about 20 – 25 minutes by car from the hotel. A taxi will be about 40 – 50 USD. You can also take an airport shuttle or the BART commuter train to Montgomery Street station, which is within walking distance to the hotel if you have roller luggage and is much cheaper. Alternative airports in the area are Oakland, across the bay, and San Jose. Ground transport from there will be more expensive, though. Renting a car for San Francisco? Not a good idea. San Francisco is a dense, walkable city. Parking is expensive. There is good public transit and taxis are available if not.